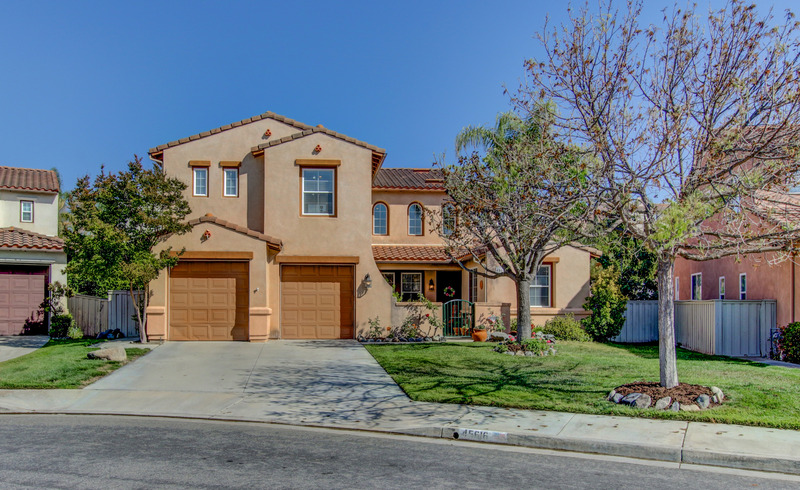 45616 Corte Royal, Temecula, CA, 92592 - Photos, Videos & More! So much ROOM in this 2-story, 4 bedroom/3 bath home located in the desirable Redhawk Community! This spacious floor plan spans approx. 3361 sqft including numerous upgrades throughout the home including a finished loft with a pool table/game room. Fabulous curb appeal right on through the front porch gate into the bright and inviting Living Room with wood laminate flooring and high, 2-story ceilings. The elegant Formal dining room features beautiful wood laminate flooring as well framed by the tile walkways into the tiled kitchen and even has a cut out for your china hutch to go. Cozy breakfast nook plus a breakfast counter/bar are the first things you notice in the large kitchen, which offers a gas range, double oven, micro plus a stainless dishwasher in the center island with stainless sink (the best meal prep kind- large sink on one side and smaller on the other). The kitchen opens up to the Family Room with fireplace and also gives access to the rear yard patio and POOL- just in time for the warmer weather! One main floor bedroom and bath round out the lower level. Upstairs is the Master with retreat and Master bath with vanity area, his and hers sinks and separate soaking tub and walk-in shower. Remaining 2 guest rooms separated by a Jack and Jill bathroom with shower in tub and dual sinks. Whole house fan, leased Solar and tandem 3-car garage are added features. Award winning Temecula schools and close to everything!